You can read more about the features of the Venice Child Kangaroo Stroller on their website but I wanted to highlight some of the things we LOVE about it and why it’s so perfect for our Disneyland trips. It’s so lightweight. I can easily put it in and out of my trunk without straining my back. It weighs 23.5 pounds with the seat on. It’s easy to maneuver. The wheels don’t get stuck. I can easily turn corners without worrying about anything. If the sidewalk become uneven, I can still push it and steer it with ease. The seat reclines fully. This is a feature that A really loves. She loves being able to lay down. Our other stroller didn’t do that. Full canopy with an expandable zippered sun shade. Both A and I love this feature. I’m always worried about too much sun exposure especially when we go to a place like Disneyland. But the canopy of the Venice Child Stroller is amazing and there’s an expandable zippered sun shade with mesh- almost like a little screen. I’ve never seen that on a stroller before. It’s also perfect for when your child takes a nap so that there is air circulating. Large storage basket. One of the things that I need in a stroller is a big basket to store things. The storage basket of the Venice Child Stroller holds our blankets, snacks, and extra clothes for a day at Disneyland. I am an over packer and it has enough space for all the things I bring! 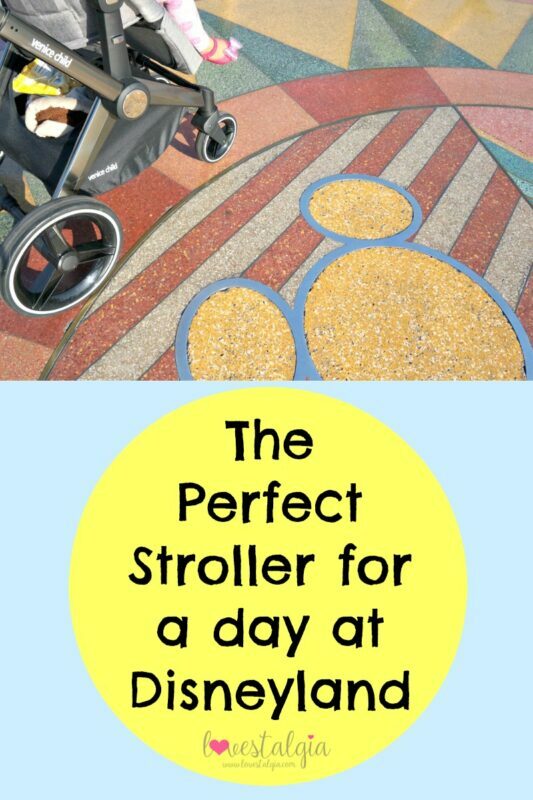 The Venice Child Stroller just looks amazing too. Its frame is made of aviation grade aluminum with faux leather handle bars. It can stand on its own when you fold it. It has a one foot braking system and the best part- you can wash the canopy and seat because they are removable! 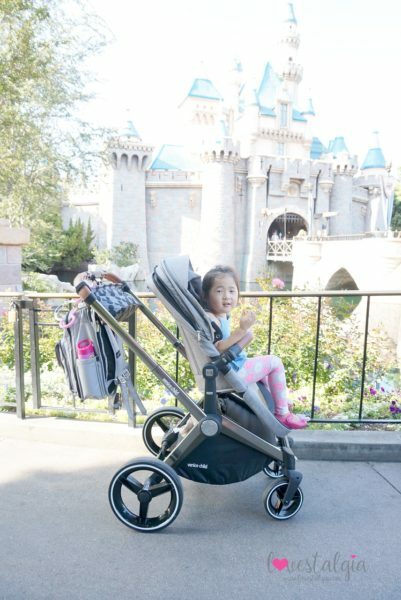 We love the Venice Child Stroller so much not only for Disneyland trips but for every day! They will be coming out with new products in the fall (double stroller) so be sure to check their Instagram or website to keep up to date with new information. 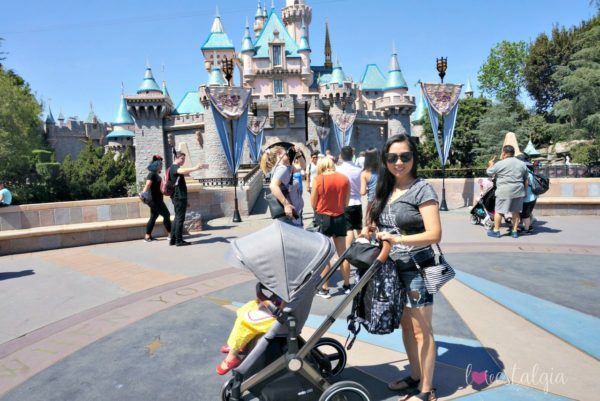 Check out my other Disneyland posts about what to pack, outfit tips, and general tips with a toddler. I love this post as well as your others that I have read! This stroller looks so nice. My youngest daughter is also 4 and we are still using our tandem stroller which has been great but my older son doesn’t use it with her any more. We live in a small town where we can walk to lots of places and I still like to have a stroller for my 4 year old. She is 41 1/2 in tall and weighs 37 lbs. I’m just wondering if I would be able to use this stroller very long before she outgrew it. I’m sorry to ramble on and on!! I’m just wondering if I should just keep using our current stroller or look for a lightweight one that would support her head. It looked like this stroller still supported A’s head. Any advice or recommendations you could give me would be greatly appreciated! Thanks! Oh, I had a few more questions! (: My hands are pretty small and was wondering if the handlebar is comfortable to hold while pushing? Also, if A is not in the stroller and your brb is hanging from it, will it tip over? Thanks? LOL! My daughter is about 40in tall and weighs 36 pounds and she’s very comfortable in this stroller. 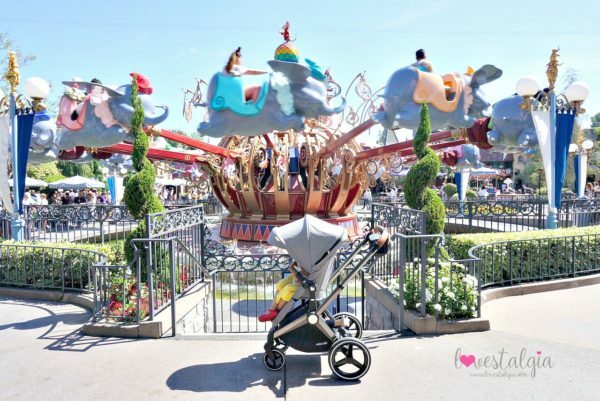 We used to have a City Select and I felt like her head reached the top of the canopy on that stroller. Its much lighter than the City Select and Bob stroller that I have. How often do you use a stroller? 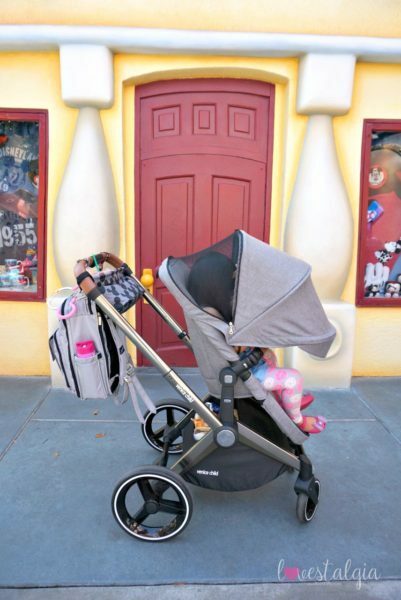 If it’s only for quick trips, you might want to get an umbrella stroller. My hands are small too and the handle bar is comfortable. It feels really luxurious. When A isn’t in the stroller and I have my BRB hanging on it, it doesn’t tip over. 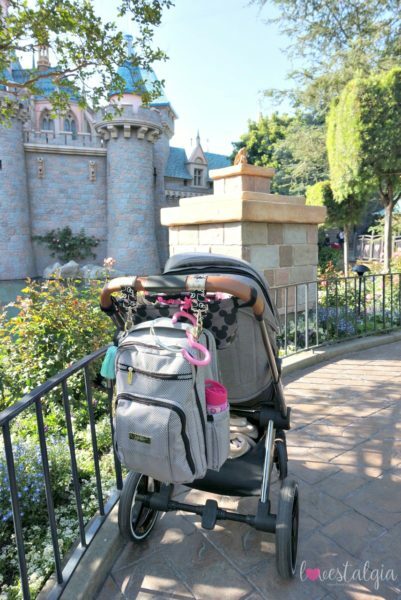 But if your backpack or diaper bag is super duper heavy, then you might need to put some stuff in the storage basket under the stroller for some added weight. I consider myself to be an over-packer so when I’m at Disneyland, I have a lot of stuff in the backpack (camera, change of clothes, autograph book, water bottle, sunscreen, mini first aid kit, coloring book, small pencil case of crayons, and my personal stuff- makeup, wallet). I also have a blanket, snacks, and jacket in the basket. Hope this helps. Let me know if you have any other questions! I could also connect you with the people at Venice Child if there are other questions I can’t answer. Thank you for reading!! Just wanted to say thank you for your reply and advice!